Colleen's book is divided up into various Chapters including Welcome to Positive Change, Defining Vegan, Why 30 Days?, Know your Numbers, Complete your 3 Day Food Diary, Find a Buddy, and Create your Goals and Intentions. The 30 Day Vegan Challenge part of the book is divided up into 30 different goals for each day including Stocking a Healthful Vegan Kitchen to Making Time to Cook. There's a great selection of recipes for Breakfasts, Lunches and Dinners with most of the recipes having photos! The book has a great design, feel and is very inspiring and empowering, like Colleen herself. Read an excerpt from Colleen's book. From the 1st to the 30th of November the Vegan Easy Challenge encourages those who aren't vegan to give the vegan diet and lifestyle a go for 30 days. I wrote a blog previously about my friend from college, Jenny, doing the challenge in 2009 as a birthday present for me and about the March 30 Day challenge this year. Registration closes on October 31 so get your non-vegan friends and family on board now! 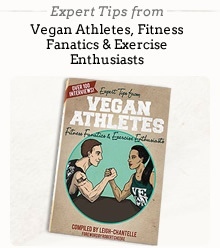 See the Vegan Easy Challenge website for more information and their amazing selection of recipes. Make sure you get your friends and family involved! If change is what you're looking for, then change is what you’ll get, and I commend you for seeking it out. Change is often one of the most difficult things for humans to cope with-even when that change is positive. How many of us avoid making changes until we're absolutely forced to? How many of us engage in habits that make us sick rather than simply change the way we eat? Now, you can call me crazy, but I have more faith in people than that. I know people change. I see it every single day. When the bar is raised and people are given the tools and resources they need to feel empowered, they do change. The problem is, the more we keep telling people it’s too hard to change, the more they just believe it. The more we buy into the myths that there's something radical about eating fruits, vegetables, nuts, grains, seeds, beans, mushrooms, herbs, and spices and something extreme about not eating the bodies and secretions of nonhuman animals, the less we'll expect of ourselves and others. And nothing will change. But by holding the bar high, we see radical changes take place in people-physically, emotionally, and spiritually. All I ask is that you remain open. Never say never. Embrace the journey that encourages us to be humble, to learn new things, to become better people. That's what being human is all about, isn't it?